Whether you have read about the work that we do on our website, or have heard about it from colleagues or friends at neighboring GSAs, you are probably only left with one question: How can I be a part of this amazing Network?! 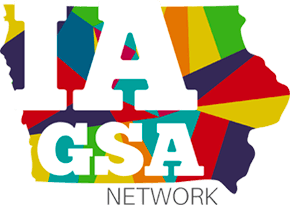 Well, it’s never been easier to become an official chapter of the Iowa GSA Network! Fill out the form below, and you’re in! Afterwards, our GSA Network Coordinator will reach out to your group, and find out how we can be a part of the work you are doing on campus and more importantly, how we can support you!